Every year, termites cause more damage in Hawaii than all flooding, fires, wind, and other natural disasters combined. They can enter into homes through cracks in the cement 1/32 of an inch wide. Termites are a subject where local knowledge is important. 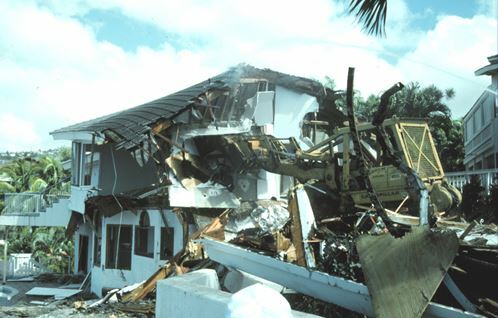 The homes built during the 80’s in Mililani and Hawaii Loa Ridge were famous for ground termite problems because of the lack of effective pesticides during that period. Although termites are found all over Oahu, the newer areas in Ewa Beach and Kapolei seem to be particularly affected by ground termites as well as traditional areas of termite activity like Aina Haina and Manoa. after ground termites found their way into it. You can buy insurance for many sources of home damage, but not for termites. We have treated steel framed homes where the termites did much more damage than the cost of our five year warranty treatment. Today there are several very effective low cost ways to treat for both ground termites and dry wood termites. Our popular Termite Complete Discount Plan offers protection from both Ground and Drywood Termites for a low monthly payment. Termite Inspection Reports for Real Estate Transactions. For immediate service fill out this form. Call us today for a free estimate or consultation at 737-2847 or fill out the form to the right and we’ll get you all the information you need to protect your home from termites.